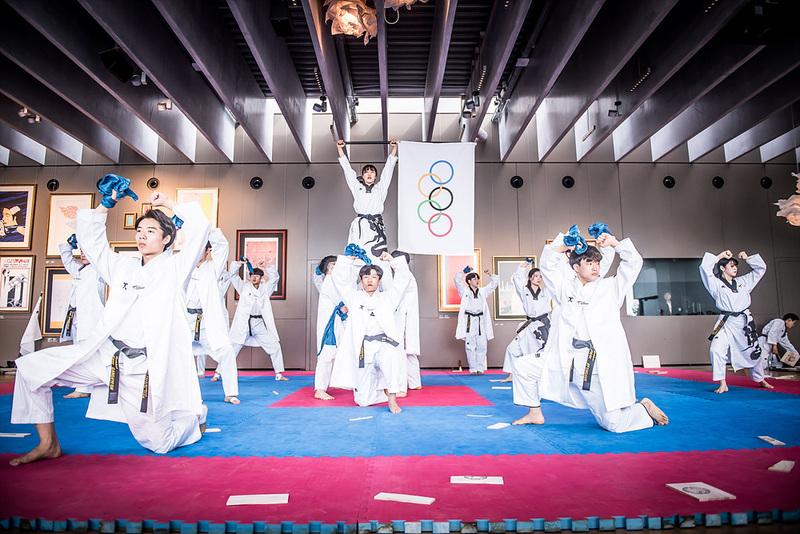 On 11 April 2019 at the Olympic Museum in Lausanne, Switzerland, World Taekwondo (WT) and International Taekwondo Federation (ITF) joined with the International Olympic Committee (IOC) in a celebration of the 25th Anniversary of Taekwondo since its inclusion in the Olympic Programme. These are the highlights of the spectacular joint demonstration and unique day for Taekwondo. Jose Molero, international referee and national referee in Spain, has died after a long illness. He was a great taekwondo professional and a great teacher. In his memory will forever remain a life dedicated to taekwondo, with refereeing in the Olympic Games, and actively participated in hundreds of national, European and world championships; he wrote a book that served as a guide for a whole generation of new referees who, thanks to professionals like Molero, started their first steps in taekwondo refereeing. Taekwondo Europe expresses its deepest condolences to the Spanish Taekwondo Federation, the International Referees and to Jose Molero’s family, relatives, friends, and students. Taekwondo Europe wishes you a spring season in a healthy and dignified life, true to its potential, and Happy Easter to all those celebrating in Europe and around the world. During the joint WT-ITF joint demonstration one more special event was realized, recalling great memories of Taekwondo prior to its inclusion in the Olympic Games. WT Council Members Prof. Kuk Hyun Jung and Mr. Metin Sahin had a re-match after 34 years. The two taekwondo fighters at that time had competed at the final of the WT World Championships in 1985, the 7th edition of the World Taekwondo Championships, which were held in Seoul, South Korea, from September 4 to September 8, 1985, at the Jamsil Arena. Along with Patrice Remarchk from Ivory Coast and Jay Warwick from the United States were the top 4 in their division (-76kg) out of the 280 contestants from 63 participating nations, all male, as women were not competing in the world championships until 1987. Born in 1962 and 1963 respectively, Prof. Kuk Hyun Jung and Dr. Metin Şahin have been forming the progress of the sport since their early athletic career. In 1982, Dr. Metin Şahin became Turkish champion and was selected to the national team the next year. He served several years as the captain of the national team. Between 1984 and 1994, he competed at world and European championships and represented Turkey at two Pre-Olympic Games. In 1995, 1986 and 1991 he was honored "Sportsperson of the Year" by the Turkish media. 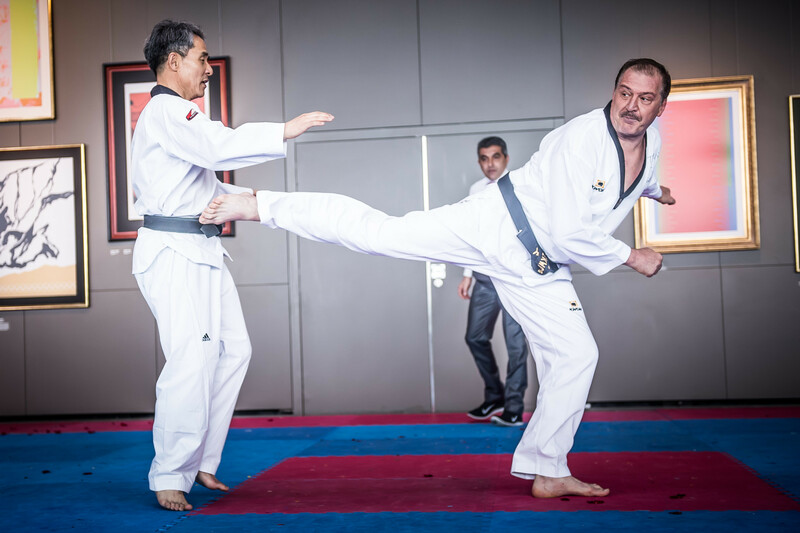 He serves as the President of the Turkish Taekwondo Federation since 2003, after being active in the sport since 1975 and contributing to widespread the sport of Taekwondo throughout Turkey. Since August 2004, he became a board member of the World Taekwondo, while the next year, he was re-elected to the board, and was appointed chairman of the youth commission of the WTF. In October 2007, he was elected to the board of World Taekwondo Europe, where he currently holds the position of Vice-President. Prof. Kuk Hyun Jung made history by becoming the first person to win 4 World Titles as well as a gold medal at the 1988 Olympic Games. His highest honor came in 2011 when he was inducted into the TAEKWONDO HALL OF FAME® in an historic ceremony held for the first time in Korea, while in June 18, 2014, the Taekwondo Hall of Fame which is based in the USA recognized worldwide Professor Kook Hyun Jung as Korea’s all-time Best Taekwondo Player. His induction into the Taekwondo Hall of Fame was the highest honor he could receive in the world of sports, while one year la he made his debut as the new committee chairman at the 2015 World Taekwondo Grand Prix Series 1 in Moscow, Russia in August. This re-match of these two remarkable Taekwondo personalities breathes out the merit of the sport and illustrates that taekwondo is a way of life for the generations to anchor and build upon. Beyond competition and trophies, the values of taekwondo, closely related to the Olympic values, promote peace posterity. This is the landmark that the WT-ITF joint event highlighted and Prof. Kuk Hyun Jung and Mr. Metin Sahin re-match is a prime illustration of the principles of the sport and its people. 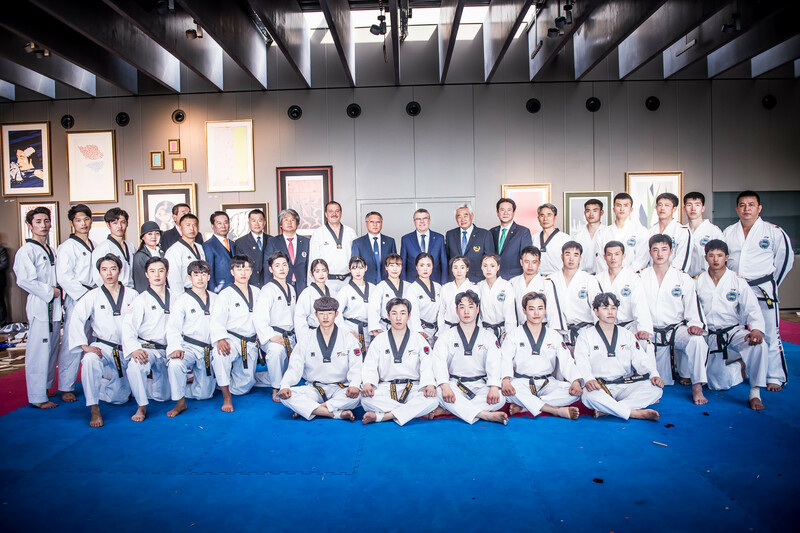 During the previous week on April 11, 2019 in Lausanne, Switzerland, the World Taekwondo (WT), the International Taekwon-Do Federation (ITF) and the International Olympic Committee (IOC) hosted a spectacular taekwondo demonstration event in commemoration of the 25th anniversary of taekwondo’s Olympic inclusion. 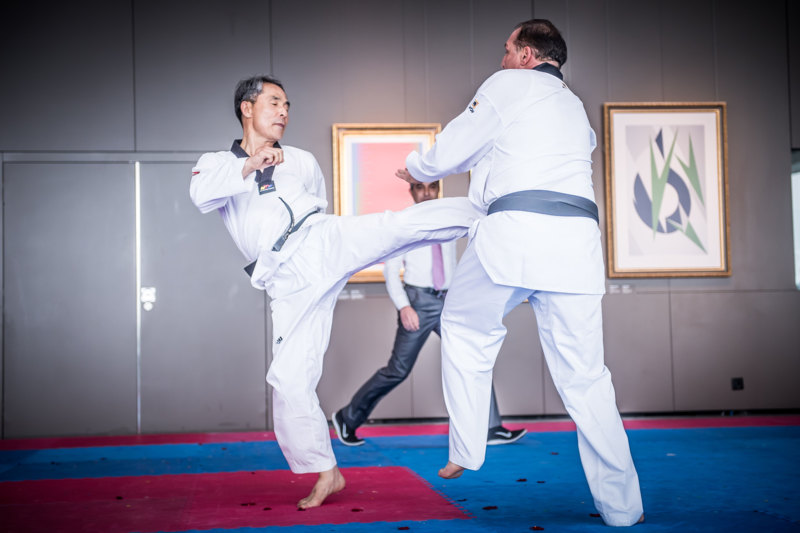 The event was realized at the Olympic Museum in Lausanne in recognition of the positive contribution of taekwondo to the Olympic Movement, as humanitarian and peace-building initiatives over the past 25 years. Taekwondo has appeared at every Olympic Games since the 103rd IOC Congress in Paris voted to include taekwondo in the Sydney 2000 Olympic Games. IOC President Thomas Bach, ex-German Chancellor Gerhard Schroder, ASOIF President Mr. Franceso Ricci Bitti, IOC Executive Board Member and President of UWW Mr. Nenad Lalovic, President of International Handball Federation Mr. Hassan Moustafa and FISU President Mr. Oleg Matytsin joined WT President Chungwon Choue and ITF President Ri Yong Son to celebrate the event. Officials from WT, ITF and Taekwondo Europe also attended the celebrations, among them WTE Secretary-Genaral Michael Fysentzidis. “We have innovated the sport, made it more exciting for athletes and fans and ensured that it can be practiced anywhere, anytime, by anyone regardless of age, gender or ability.” said WT President Choue. The two federations also hosted the third and final joint-demonstration of this week-long celebration of Olympic inclusion on April 12 at the UN offices in Geneva. The weather on April 6 might not helped the 1st Taekwondo Europe Beach Championships to be held outdoors, by the beach, yet this was not a major problem, as the athletes brushed off the cloudy and rainy atmosphere, put on their beach outfits, top tanks, sunglasses, and uplifting mood to perform their best! The milestone of the event was undoubtedly 'Freestyle Dynamic Kicks & Breaking Challenge', with the competition being extremely demanding from both men and women, yet providing some of the most exciting and stunning spectacles of the event. Enjoy the greatest moments of the event in the highlights video below. On April 20-21, the city of Sofia, Bulgaria will welcome one more Taekwondo event. After the recent successful Multi Games 2019, Asics Arena will be hosting the G1 Sofia Open International Taekwondo tournament which already counts around 800 registrants. Registration for the event is currently ongoing and will remain open until 10th December 2019, 11:59 PM. On 6 April, the inaugural day of the 1st Taekwondo Europe Beach Championships 2019 and the International Day of Sport for Development & Peace, Taekwondo Europe along with the Organizing Committee of the event, participated in the campaign by promoting the movement by raising up altogether the #Whitecard. Even though the weather did not allow the competitors to perform outdoors, they supported the initiative warmly, showing their care for sports and the cause they represent, unanimously. The over 300 athletes and officials participated in the championships gathered up all together showing their white card in cheers and overwhelming spirit, just before the awarding ceremony begins. Worth to mention that Taekwondo Europe as Organizing Committee of the 1st World Taekwondo Beach Championships in Rhodes 2017 had realized the biggest white card campaign ever in a monument by opening wide a wide white sheet of 400 sq.m in total, at the Bastion of Palace in the Medieval City of Rhodes island, where many of the athletes and teams present in Antalya had already experienced two years ago. Taekwondo Europe will continue to support such initiatives that exemplary promote peace through sport initiatives and embrace such initiatives as the #whitecard campaign.